We offer a variety of catalogs for our different equipment types and industries we serve that can be downloaded to your email. Feel free to download any catalog here or email us to request a hard-copy in the mail. 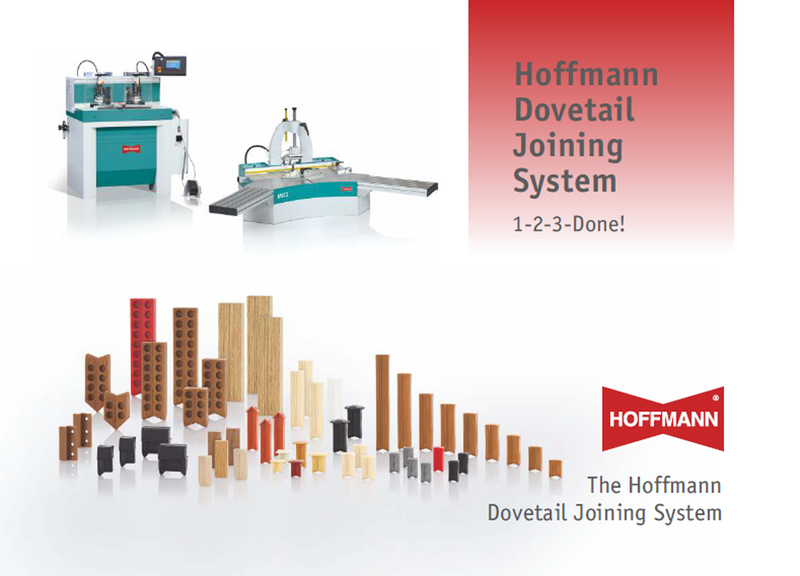 This catalog covers our full range of Hoffmann Dovetail Joining Machines, Accessories and Hoffmann Dovetail Keys. Dovetail Joining Machines starting with entry-level X-line to professional level MU-3 series bench-top machines as well as freestanding P-series all the way MS and MX double miter saws are covered. 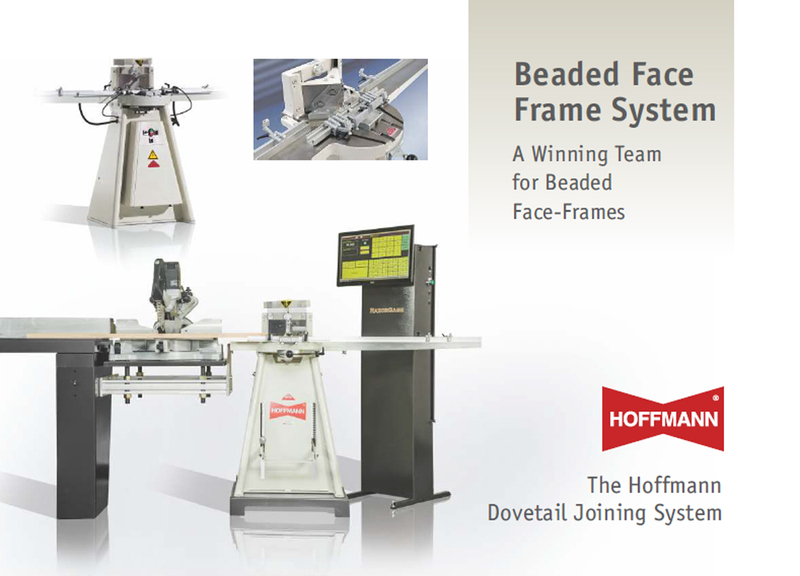 The full assortment of accessories for Hoffmann dovetail joining machines are also listed. This catalog covers our MS-series double miter saws and our MX-series double-end miter saws, with optional Hoffmann positioning systems. 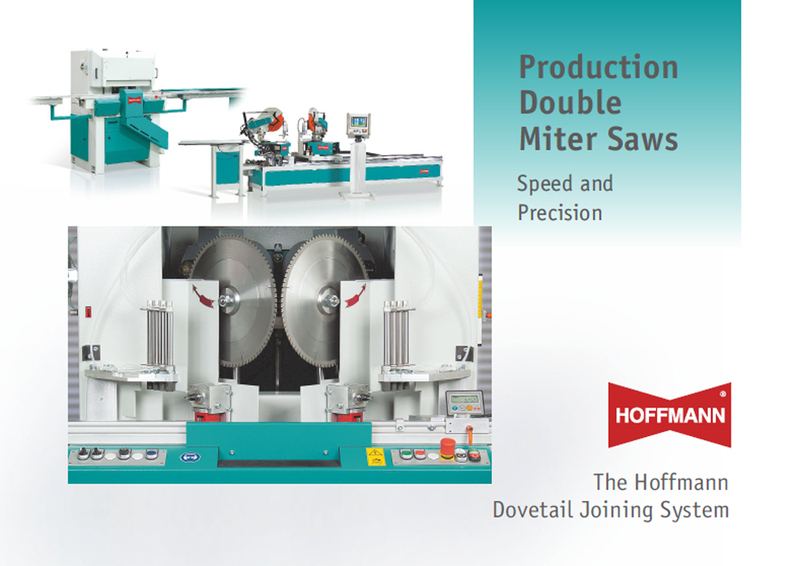 Hoffmann double miter saws are available with and without integrated dovetail routing stations and various levels of automation for every production level. This catalog covers our MORSO line of notching machines for beaded face frames. Also included are the RazorGage Positioning Systems for use with MORSO machines. 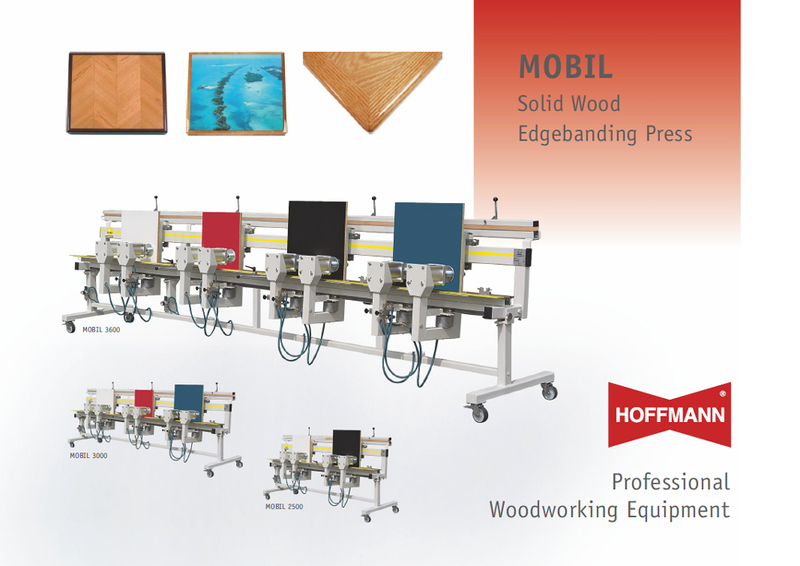 This catalog covers our MOBIL 2500, MOBIL 3000 and MOBIL 3600 solid wood edgebanding press line. Also included is information on our hand-held BH-556 edge lipping planer. 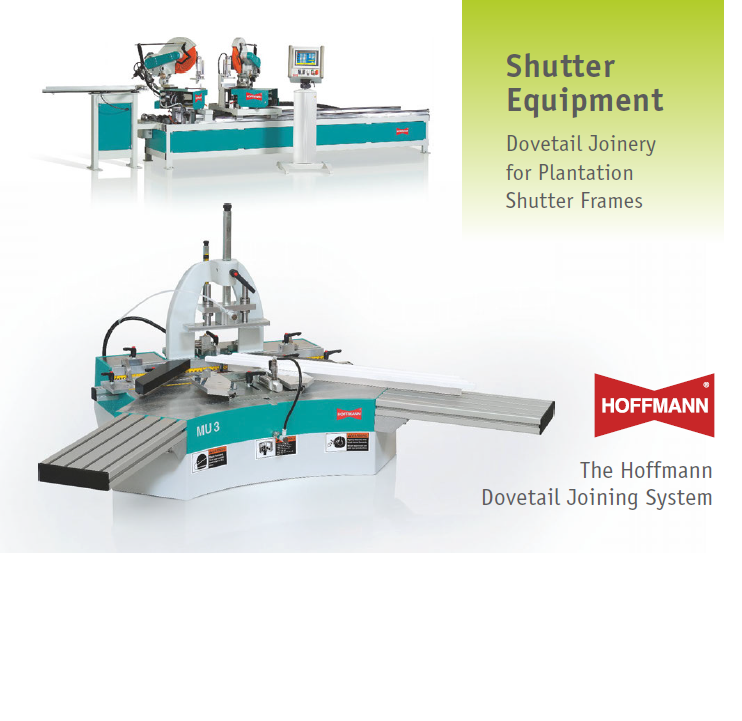 This catalog covers our range of dovetail joining machines for the picture framing industry. 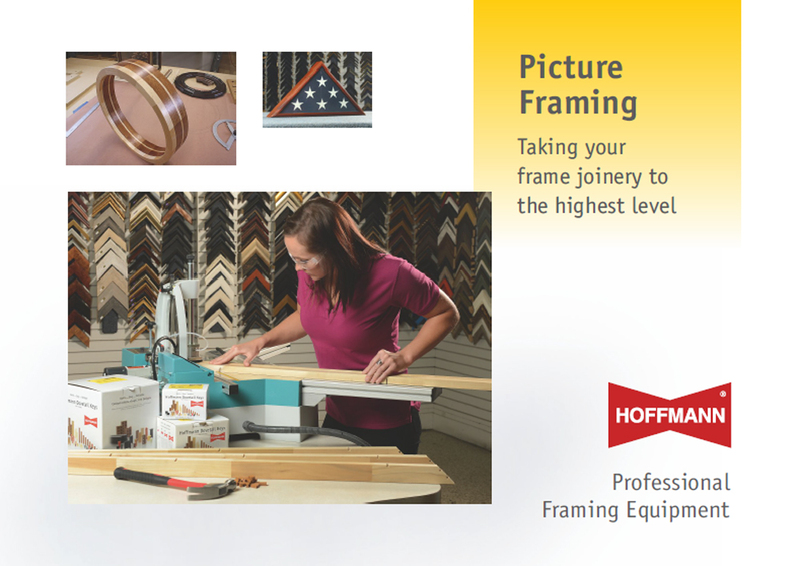 We offer machine models for smaller custom framing shops all the way to high production frame operations. 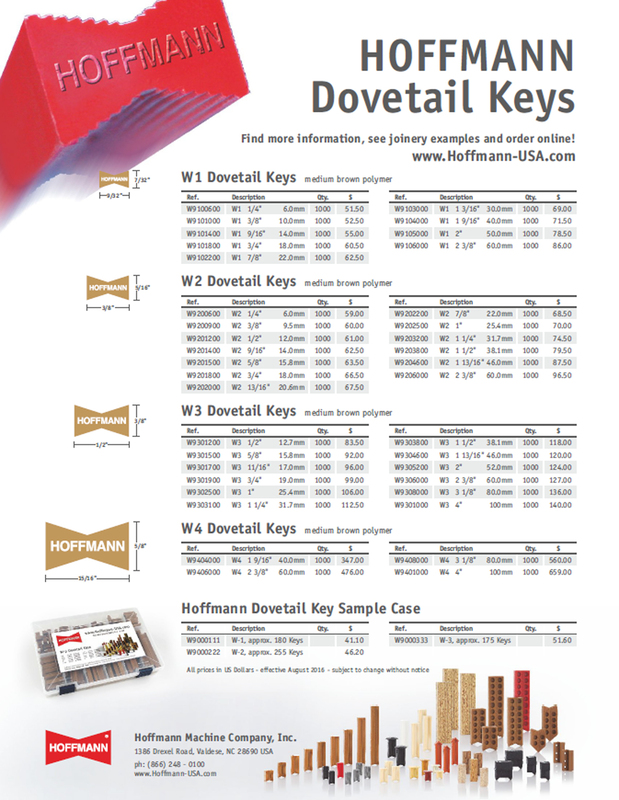 This flyer covers all available Hoffmann Dovetail Keys in various colors in plastic. Also shown are dovetail Keys in solid wood as well as Dovetail Key Sample Cases. 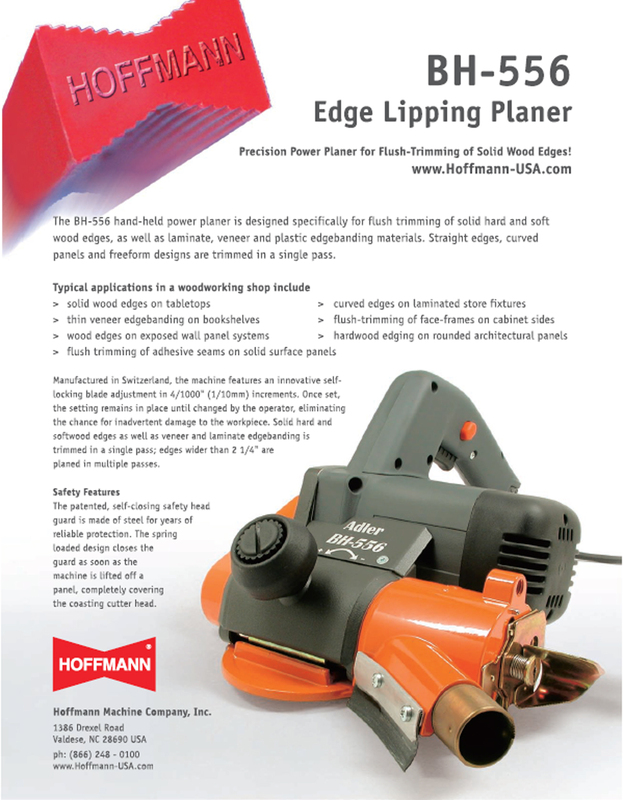 This flyer covers our Hoffmann BH-556 hand-held edge lipping planer for flush planing of solid wood edges. An ideal companion machine to a MOBIL edgebanding press. This catalog covers our range of dovetail joining machines for the shutter manufacturing industry. We offer machine models for smaller custom all the way to high production operations.